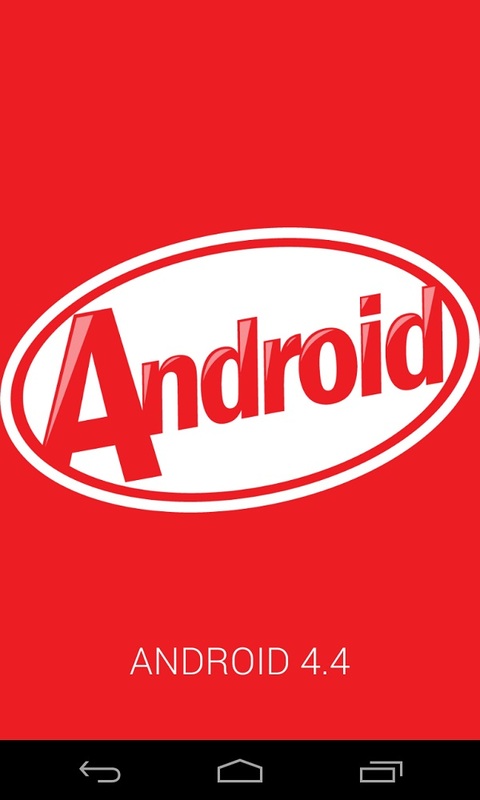 Official Android 4.4 KitKat is spreading across the world!. 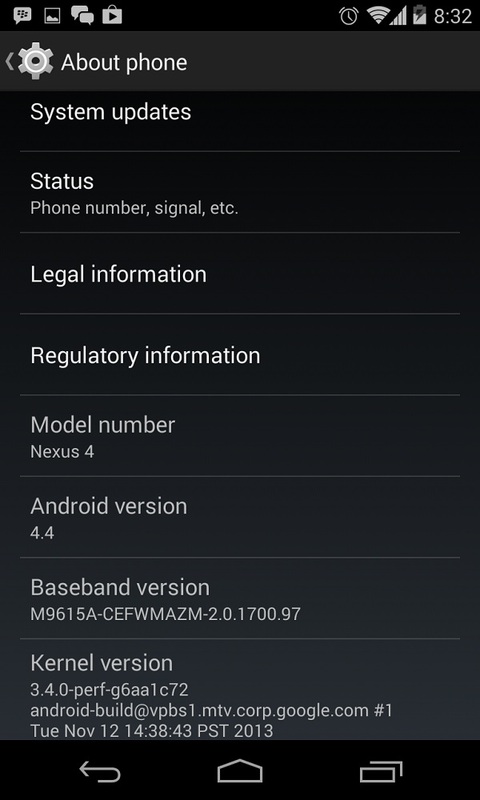 We also received the update for the Nexus 4 device. 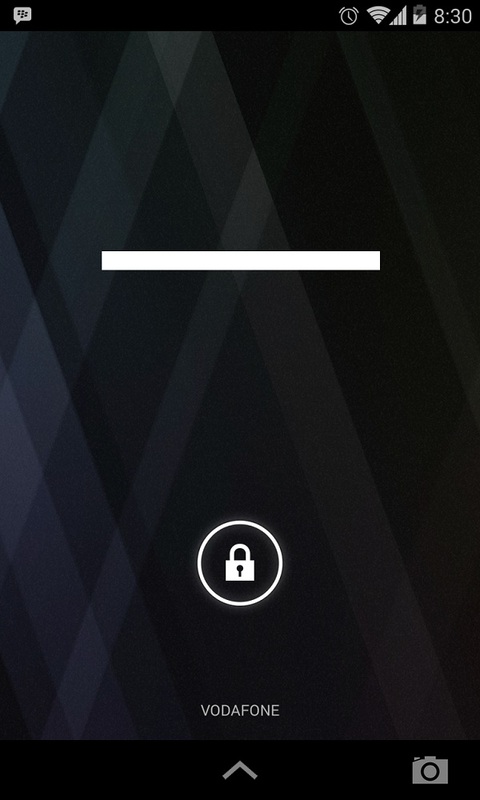 There is no new launcher available with the KitKat shipped for Nexus 4. 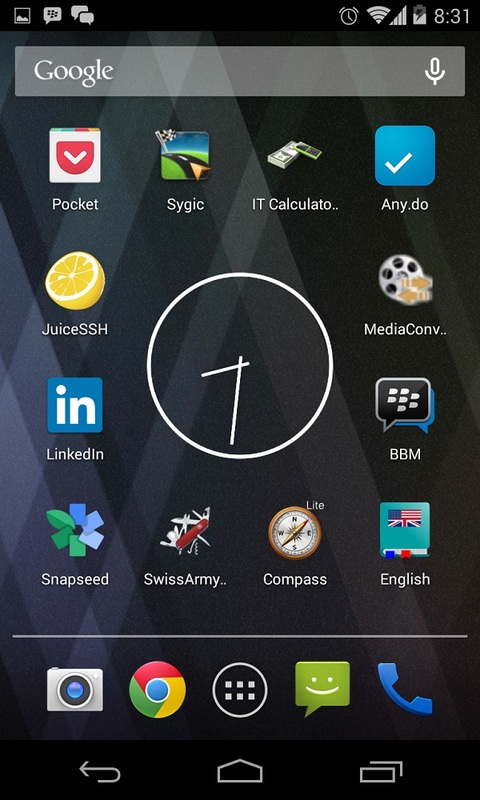 There are no changes in the icon background and the icon groups. There are changes in the dialer, settings,lock screen, contacts, search for local businesses, search for number identities through Google. and location selection options. 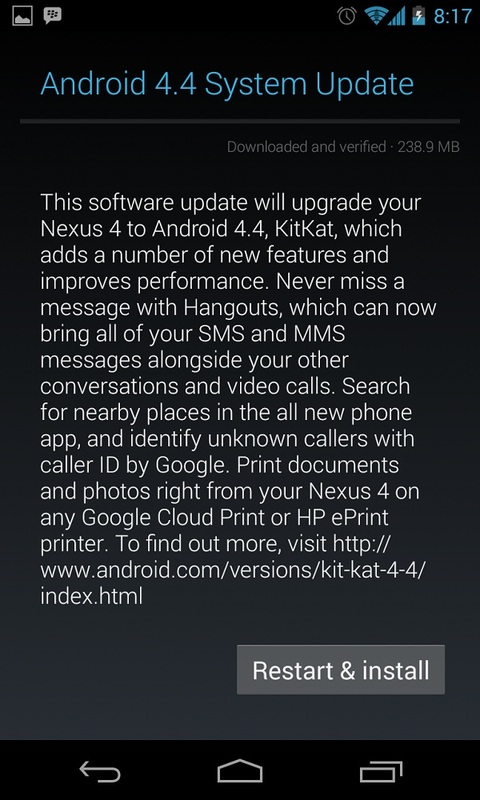 Above all, Kitkat is meant for performance improvements. 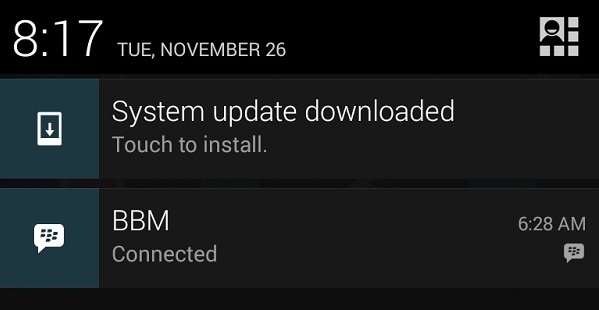 Google Android team has introduced new runtime ART (Android RunTime) instead of Dalvik. We could not try ART yet, most of the applications are yet to migrate to ART. Especially WhatsApp is not working with ART pre-compiled approach for applications. Is GMail moving towards a Google Web OS ?